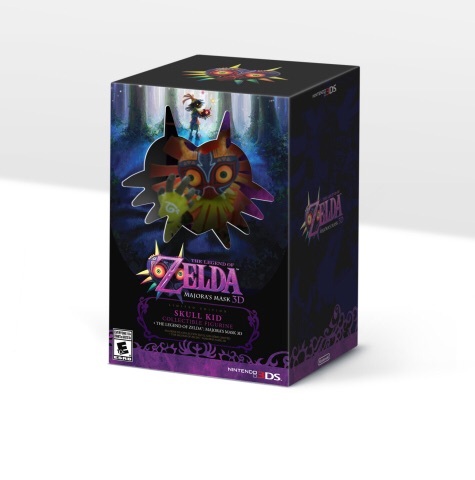 I'm very happy to report the special edition version of The Legend of Zelda Majoras Mask 3D (For Nintendo 3DS) will be coming to the US. We knew about this limited edition before but never received confirmation it was being released in the US until today. I will be preorder this as soon as I can, and I strongly suggest you do the same because this is a limited edition set and likely will be hard to get if you don't preorder. Sadly we still don't have a release date for this game . I added a second picture of the statue. I also don't think this includes the poster, metal case and pin that is part of the European special edition version. I don't believe this is an ammibo and is just a small majora statue.